Historic Rome and romantic Venice. 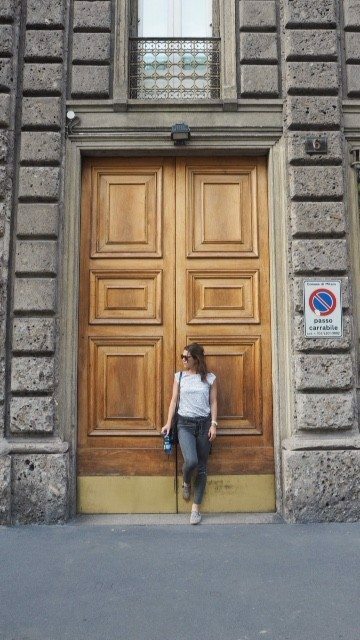 Both beautiful Italian cities right? But they have a big contender to cope with; Milan. 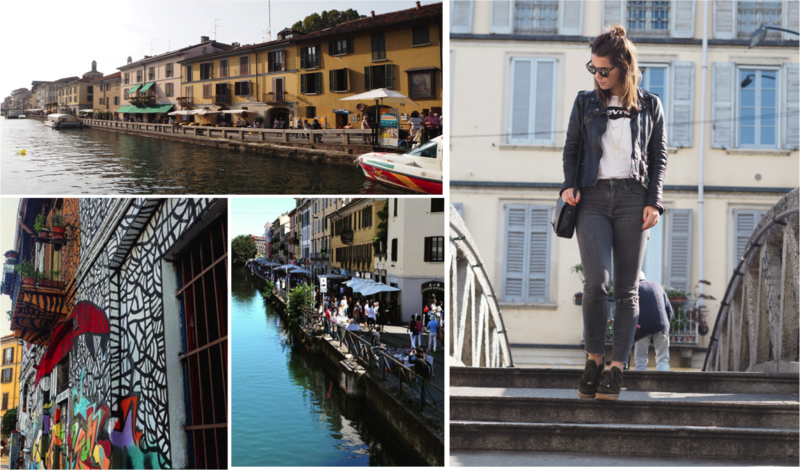 Milan is best known as the Italian fashion capital thanks to it’s historic fashion houses, and the four yearly fashion weeks. But, it has so much more to offer; quaint little streets, great shopping and more hidden gems. 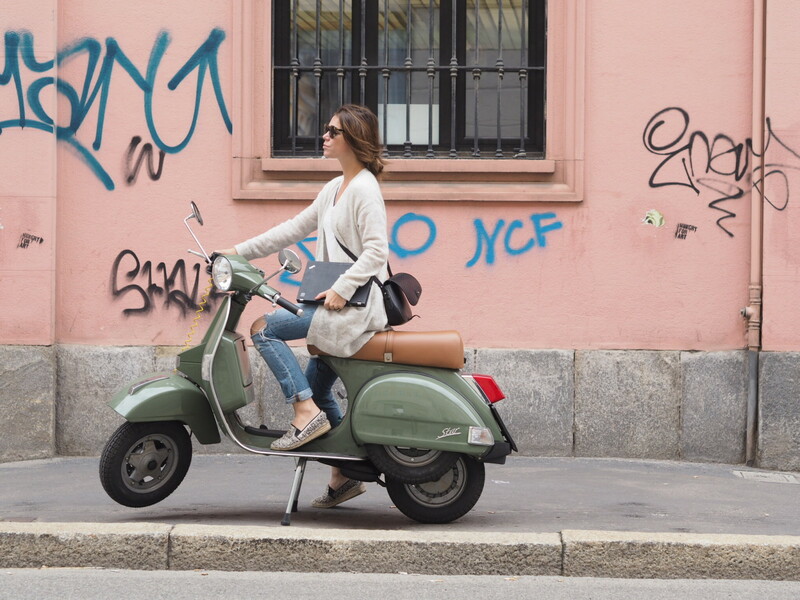 Exploring Milan by Vespa. Wearing Levi’s 501CT jeans & vest. 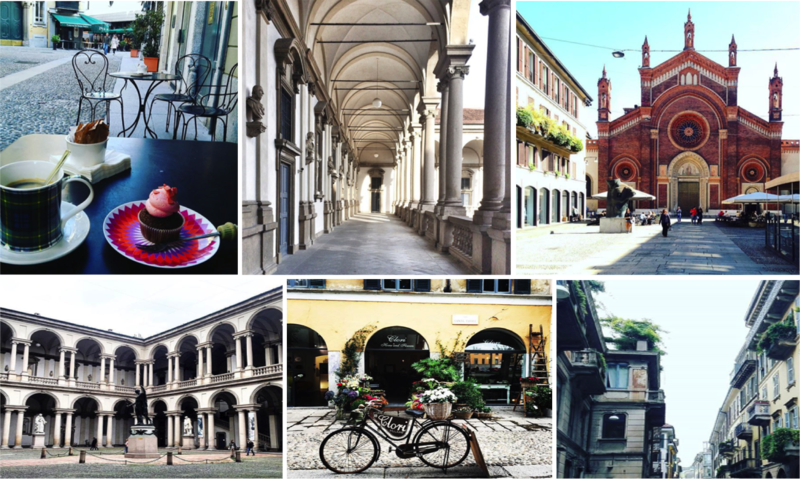 Find out 5 reasons why you should visit Milan. 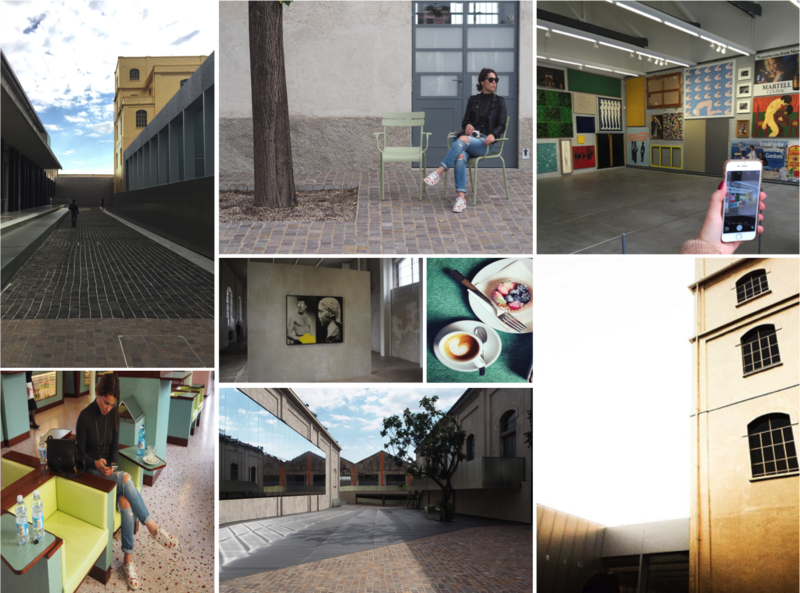 I visited the Fondazione Prada, an exhibition space dedicated to contemporary art and culture and designed by Rem Koolhaas – the famous Dutch architect. Located in Largo Isarco, in the south of Milan. Take a few hours to time to visit all 7 buildings. Admission is 10 euro per person. 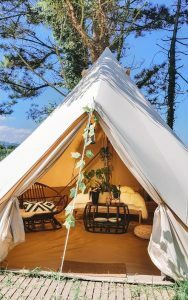 A bohemian atmosphere where you will find many restaurants, bars, antique and art shops. One of the main reasons to visit Italy is to enjoy their culinary culture. 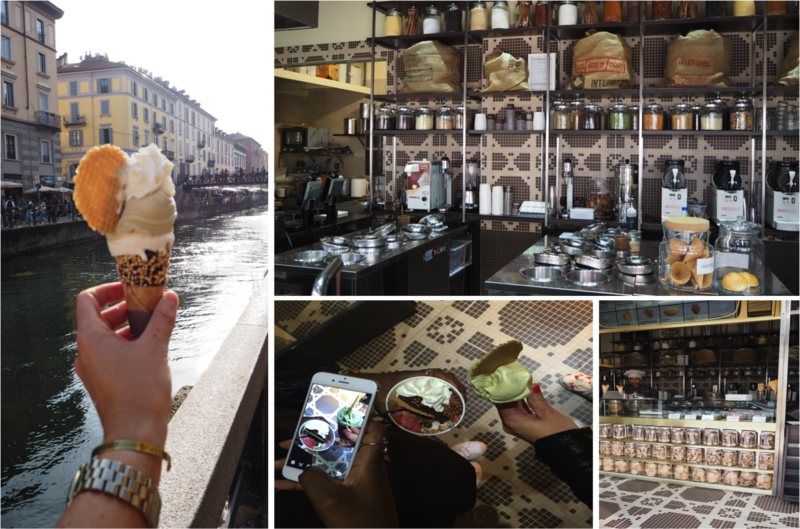 One of Milan specialties is gelato, ice cream! I tried a few ice creams in Milan, and Cioccolat Italiani was for sure my number one favorite. Why? High quality ingredients, fresh gelato prepared daily and a heart of melted chocolate inside an artisanal cone. Wanna know where to eat? Check my favorite food spots of Milan. Milan is one of the must visit cities of Europe. Discover the charming canals of Milano designed and engineered by Leonardo Da Vinci. Stroll along the canals where you will find every last Sunday of the month from 9 am until 6 pm, starting in September, an antique market. 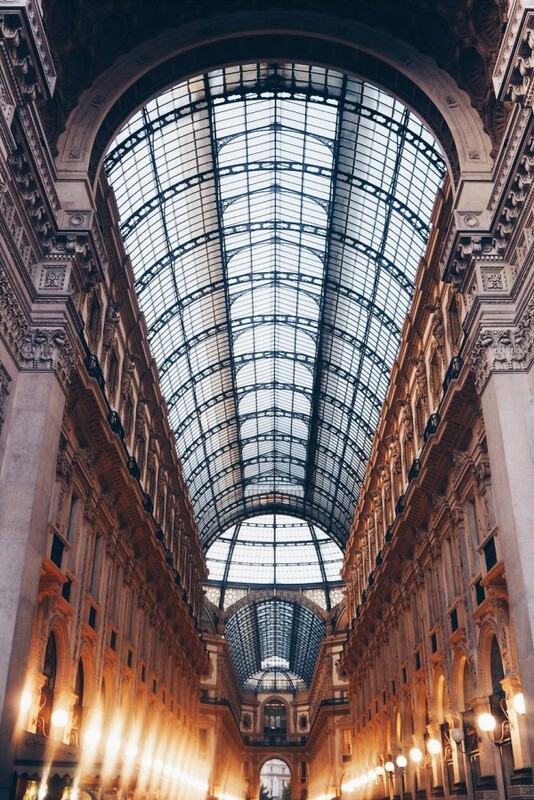 Milan is one of shopping capitals of Europe and therefore it’s perfect for shopping! 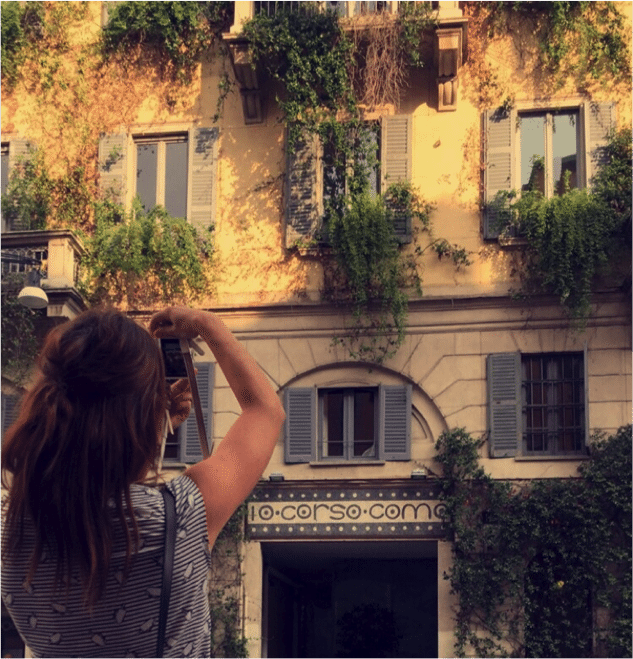 From designer stores and boutiques to outlets and from expensive to affordable, you will find it in Milan! By metro: Milan’s metro – from 6AM-12.30AM; a day ticket costs €4.50.